Now you can get your Ram Gear at our online Spirit store or at our in-house Prep Shoppe. 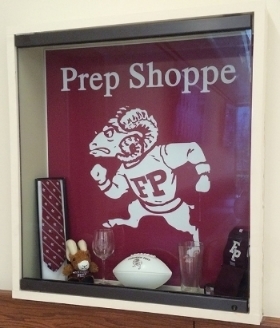 Fordham Prep and LIDS Team Sports connect the honored traditions of the Prep to the innovative digital retail age. A portion of every sale through the Spirit Store supports our school, directly benefiting our students. Students, parents,alumni and fans can now purchase custom Fordham Prep apparel. Pick your product, pick your color and add your favorite logo. It ships directly to your door. You can customize many items with a name, number or year to celebrate your Fordham Prep journey. The Spirit Store operates 24/7 and is supported by an expert customer service team. The Prep's shop is located in the Commons and is open school days from 10AM - 1PM. You can also make purchases online. All items are sent via the United States Post Office.